■ 본 습도조절기는 악기케이스내 습도를 유지/보충시키는 용도로 사용됩니다. 통풍이 잘 되는 장소에 악기를 보관하시기 바랍니다. 주기적으로 확인하여 수분이 없을 경우 물을 보충해 주세요. and the word, "Humistat®" on top. exposed on both sides of the unit. Remove the cap and fill the unit with water until water emerges from the control vents. creates a vacuum that makes leaking impossible. 1 to 3 control vents are visible on both sides. You are now ready to use your HUMISTAT®. 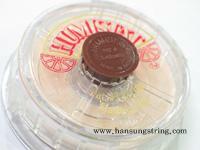 consider adding a HUMISTAT® Hygrometer to your order.